You might not realize it, but you need a plumber. Although most people only call a plumber when disaster strikes, you shouldn’t wait until a pipe bursts, a flood occurs, or your toilet back ups. Ignoring the signs of impending problems or putting off plumbing work can lead to potentially serious – and expensive – problems in the future. Here are five surprising situations that mean you need to contact a plumber ASAP. When your plumbing is problem-free, your water pressure shouldn’t change much from day to day. If you notice a sudden drop in water pressure, there might be something happening in your pipes. Most often, a sink or shower will have low water pressure because there’s a blockage or gunk has built up over time. However, there could also be a number of more complicated factors at play. Low water pressure might be caused by an eroded waterline, or it could be the result of a fractured pipe. The cost of repairing an eroded waterline can easily run up to $800, LinkPlusUSA.com reports, while a fractured pipe may cost up to $600. It’s far better to pay for a plumber to address the problem immediately, because these complex projects will likely cost far more – especially when it’s created an emergency. Gurgling is one of more common problems you might have with your plumbing. However, just because it’s common doesn’t mean it isn’t a serious concern. If you hear gurgling from the washing machine, the dishwasher, or the toilet, it probably means the system is struggling to find air. That can often mean the system is close to a backup, which could lead to anything from serious leaks to sewage coming out of the drain and into your home. A sewage backup can cost thousands of dollars to deal with, especially if it damages flooring or personal items. Before you reach that critical stage of a backup, turn off the water and call a plumber right away. Gurgling water isn’t something you want to ignore. After you turn on the shower or flush the toilet, it’s normal to hear running water through the pipes. If you hear that same sound when you’re not using any water, though, you should be concerned. Running water in your toilet might be increasing your water bills, but a plumber could replace the tank and solve your problems in one fell swoop. Hearing water rushing through your pipes might also mean there is a leak. Rather than risking a flood in your bathroom or your kitchen, which could mean thousands of dollars in interior and structural damage, bring in a plumber ASAP. For as little as $200, a plumber could replace your hot water line, eliminating the risk of big leak and saving you plenty of hassle in the future. If a sink or shower is draining slowly, then it’s almost certainly caused by a clog somewhere along the line. This is something people often want to handle on their own, and there’s no shortage of DIY tools and gels designed to help resolve the issue. Unfortunately, your efforts could backfire. Sometimes, trying to eliminate a clog can actually do damage to the pipes, especially if you have older plumbing in your home. If you damage the pipes and have to replace them, you could pay hundreds for the repairs. Rather than facing that huge expense, treat your pipes carefully and let a plumber deal with a clogged drain. You can get back to quick drains rapidly, and you’ll have peace of mind about your plumbing. If your plumbing system is in good shape, there’s no reason to smell anything that resembles sewage or sulfur. Smelling these types of odors is never something you should ignore. Often, it means you’ve got a broken sewer pipe underneath your home. Left alone, that broken pipe can cause serious issues for your foundation. The average price of foundation repair is $4,000 according to Home Advisor. If the foundation settles or cracks, you could also have expensive structure damage to deal with. The easiest way to avoid those expenses is to bring in a plumber as soon as you smell sewage or sulfur. 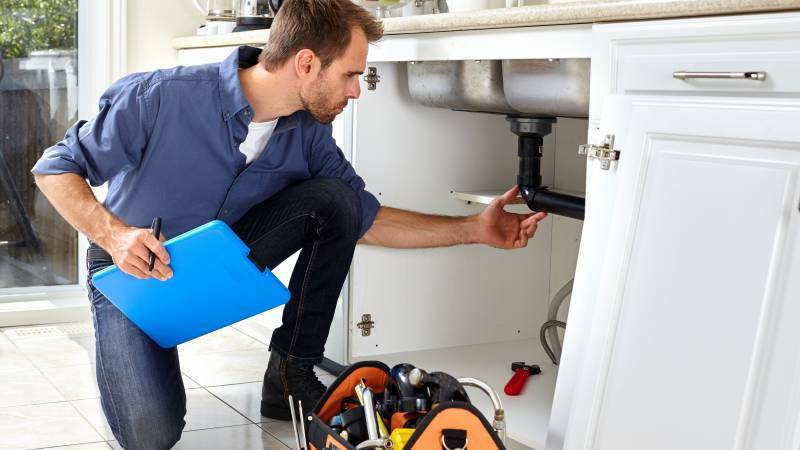 If you experience any of these problems, don’t delay the process of finding a plumber. These small, subtle signs are an indicator of potentially huge crises, and you need a reputable plumber to check them out. You can quickly and easily find a plumber with an online search. You can check out local reviews and recommendations, and you can often see plumbers’ average rates online too. Most quality plumbers are happy to come out and provide you with a quote free of charge before tackling your project. Research anticipated costs in advance, so you know what to expect and can assess each quote to determine if it’s fair or a great deal. Whether you hear gurgling, smell sewage, or just notice a slow drain, you could be facing a bigger problem than you expect. Contact a plumber now to confront the issue before it gets more complicated or more expensive than it needs to be. If you’re interested in finding a plumber for your home, start a search today.